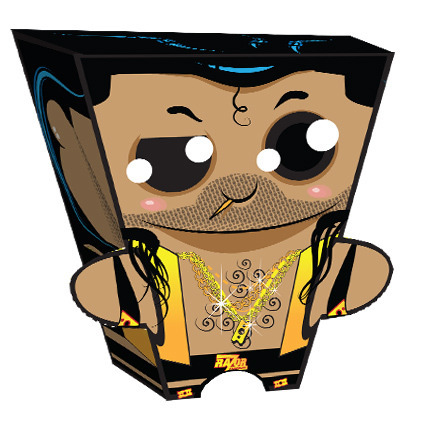 This paper toy is the Razor Ramon, designed by Qooplo. Scott Oliver Hall (the original Razor Ramon) was an American professional wrestler. In the course of his career, which has spanned three decades, Hall has wrestled for the American Wrestling Association, the World Wrestling Federation, World Championship Wrestling, Extreme Championship Wrestling and Total Nonstop Action Wrestling.